A documentary about the implications to all Americans with Donald Trump as President, including the possibility of Americans fleeing United States to avoid the wrath of the TRUMP empire. The reality complications arising from entering Canada. In preliminary written discussions with Michael Moore to collaborate project, here in Canada and United States. A comical but dark satire of its true troubling reality. Intro concept : Sales pitch announcement by News Media across the world, introducing policy changes for Americans entering Canada under the new revised visa applications by Prime Minister Justin Trudeau. Meanwhile we follow the TRUMP empire as freedom we so dearly pride ourselves as a democratic society, crumbles before our eyes. You see as Trumps family take on leading roles, abolishing laws, reducing healthcare and attacking the system for the people. United States slowly transforms into the fictional warlord on “Back to the Future“, Biff Tannen. Biff Tannen‘s greedy conquest has taken over America on the backs of Americans. Please join us in the Collaboration. We may start a Kickstarter campaign to further funds. Celebrities , Directors and Producers interested in funding this documentary project to further increase the awareness of how Donald Trump will destroy democracy, removing the rights from women, African- American and the Constitution of America, please contact Bari Demers. The goal of this documentary is to increase the awareness NOT only in America but across the world. Please direct your thoughts, ideas or help, to me directly on LinkedIn or here on WordPress, in regards to producing this important documentary film. Your future may count on it! NOTE : All comments are monitored, please restrict from any kind of profanity. That includes you Donald Trump. The Storyboard process in any INDIE FILM is a smaller cost effective adventure in comparison to the big film production companies. We buy according to our budget. Here’s the complete layout of hiring work for Storyboards. The final presentation of our Storyboards showcasing illustrations of each scene are coloured A5 size (21x15cm / 6″ X 8″) format cards. They are typically ACTION scenes describing frame by frame of our film. The overall process is long for Indie Film Producers and Screenwriters. In the beginning, filming of each scene we have the illustrator to draw us up smaller quick action scenes, just like you see with CELTX SHOTS ( an App by CELTX whose main purpose is providing us screenwriters screenwriting formats ). BUT, the final coloured cards are from 4-6 action scenes per ACT. If you’re not familiar with screenplays or films, here’s an example of how it works, with ACTS 1 2 and 3. With the final colourful illustration cards, we’ll use these for MARKETING and PROMOTION of our Film without giving away the full story. They are used to entice the viewer to share with their friends on social media. 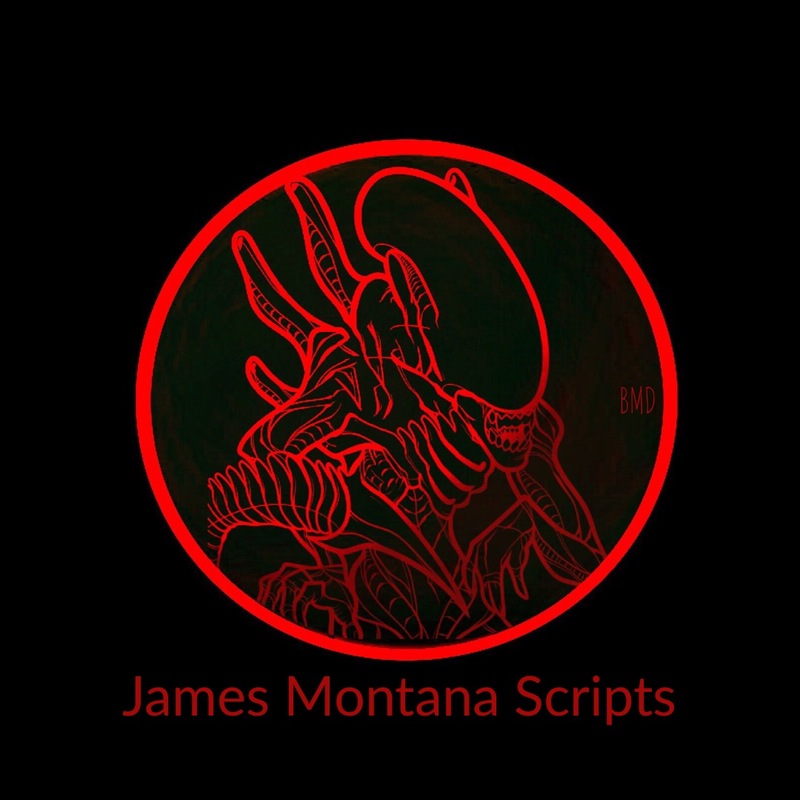 They are also used in the production film credits at the end of a film. A really good example is the movie RED or RED 2. At the end of their films they showcase the storyboard cards. The BIG GUYS like DC Comics, Paramount, Marvel Studios or Dreamworks Studio (DreamWorks began in 1994 by Steven Spielberg, Jeffrey Katzenberg and David Geffen), get the option to have a large staff of full time illustration employees. WE, (the smaller guy) don’t have the funds, as our projects ( even though it still takes the same kind of effort to do one film) are independently run. Which means we are strapped for funds. That said, we pay “Quick Sketches” of storyboards frames by a group of 10-20 depending. These quick storyboards are NOT coloured and simple but dynamic sketches. To put it into better prospective, a film can have as many as 110 scenes. INDIE FILM PRODUCERS ( aka screenwriters – we wear many hats!) pay for greyscale or b/w, A5 size (21x15cm / 6″ X 8″) from $10 to $20 per Storyboard. Professional Storyboard Illustrators ask from $45 – $110 per board, plus a $300 Starter Fee. For us Indie Film Producers (where funding is extremely tight) we can’t afford these kind of prices. Some will even ask for traveling time and so on. SO – we either do it ourselves or look for up and coming new illustrators, eager to showcase their art and get paid. There are three stages of artwork that each have a different pay scale. In QUICK Storyboards requiring a quick sketch of each scene we break it down into 10 frames. WE group Storyboards into 10 frames with 30 frames per ACT. Remember there’s ACT ONE, ACT TWO and ACT THREE. Overall,( in a 90 page screenplay) that’s 90 plus storyboards. Each 10 frame Storyboard is $100 CA. We’re talking about quick pencil (preferably ink) sketches. Each sketch should take only 15 minutes to produce for any good illustrator. $10 for 15 minutes work is really not that bad of payment. On an hourly wage, that would $60 per hour. Four frames per hour is (in my opinion) fair for new upcoming illustrators. In STAGE ONE we don’t do Crowdfunding. And our timeline is a lot more relax then the BIG BOYS. The coloured cards are much more elaborate, (requiring sometime to produce a creative artist piece ) used for PROMOTIONS of our INDIE FILM. Because of the time factor we expect to pay $100 – $120 CA per COLOURED CARD. Every detail is important in these promotional cards. In STAGE TWO we do require Crowdfunding sources. But, of course, we proceed with the crowdfunding first and then hire our prospective illustration artist. We usually work with the same illustrator who spent the time doing our quick sketches, unless during the STAGE ONE process we found the artist to be difficult to work with. Trust me when I say, I have personally fired a couple. In this business, an artist can NOT be arrogant or have any kind of attitude. They must be able to work within the guidelines of FILM PRODUCERS. In any filming process, it’s SO IMPORTANT we all work together (without any headaches) with a general goal of producing the best film ever. We require ACTORS, ILLUSTRATOR and CAMERA CREW (Remember the many hats ? Each camera crew will also set up rigging too. We are not the BIG BOYS) who are all easy to get along with. In this stage, we are committed to producing the most colourful Storyboard Film Book for purchase after the film has been released. It’s imperative the coffee-table Storyboard Film Book is ready for purchasing on-line as our film is released in, lets say at SUNDANCE FILM FESTIVAL. The cost per coloured illustration can be from $125 – $500 US per 8 X 11 format with the quick sketches within from $45 – $80 US ( all these smaller sketches must be inked format). The full cost of producing the Storyboard Film Book can be from $10,000 – $18,000 US. We like to sell each book around $45 each. STAGE THREE of producing a Storyboard Film Book is only if we feel it will add to the hype to our film. In other words, if we already have 100,000 fans waiting for our film to be released. Making a film along with Storyboards require the artist sign a wavier to make sure he or she keeps our project in complete secrecy. They can NOT show their friends and family or can they freely talk about the ongoing filming project. Essential, IT IS TOP SECRET. Can you imagine social media talking about the whole storyline of your film ? It would surely be a disaster! Like all Film Producers we keep everything under wraps until we release our film in a popular film festival. Today I’m working on a big project BLACK ANGELS requiring 200 million dollars to produce. This project isn’t any small adventure or would it be said to be an INDIE FILM. This project must prepare it in stages, in order to catch the BIG BOYS attention. FIRST STAGE : Produce the Final Draft Screenplay – DONE ! SECOND STAGE : Produce quick Storyboard illustrations. THIRD STAGE : Produce SIX effective TRAILERS of FILM BLACK ANGELS. FOUTH STAGE: Release a short-story film about BLACK ANGELS at Sundance Film Festival. FIVE STAGE : The BIG BOYS finally catch wind of my project, offering a substantial timeline in the pre-production of the film BLACK ANGELS. SIXTH STAGE : Full Production of the science-fiction horror genre BLACK ANGELS. SEVENTH STAGE : Release of BLACK ANGELS in Theatres on DECEMBER 2021 ? Also release a coffee-book Storyboard Film Book across the web. Red carpet film premiere of BLACK ANGELS with adjoining actors, director and producers. Checkout BLACK ANGELS website and if your require more information or a full Treatment of my film, CONTACT ME. Final convection : If anyone is asking an artist illustrator to produce illustrations for free through a contest or whatever, then it’s certainly a scam. As a screenwriter for smaller INDIE FILMS we buy illustrations for our storyboards. Are you an upcoming illustration artist looking to produce quick illustrations, please send examples by contacting me with your rate. My personal blog is Vegas Reviews and it signifies my passion for Las Vegas. It expresses the fun and freedom my wife and I have in Vegas since our very first stay, way back in the 1980’s. Thirty-four years later we are still going strong. You might say we are “Vegas Lovers“. But today I would like to make a statement in regards to what has been happening in Canada this past week. First and foremost I’m very proud to be a Canadian. To all Canadians this week has truly been a sad one, with radicals tearing at the very fabric of who we represent – democracy and freedom. Our hearts pour out for the tragic loss of fellow Canadians, Corporal Cirillo and Warrant Officer Patrice Vincent. We will still strive to live strong and free in spite of these cowardly acts by terrorist individuals. Throughout the world more support came in, from Queen Elizabeth II , Gen. Chuck Jacoby, commander of NORAD, New Zealand Prime Minister John, along with Israel and The Chinese Embassy. And last, but not least, the grand thoughtful gesture by Pittsburgh Penguins and fans, who took a moment to sing our Canadian anthem. Canadians love their hockey and with Pittsburgh Penguins and fans to take this extra time to express their support, touches the hearts of all Canadians. I cherish all my American friends and will never take it lightly. United States of America is a wonderful country and each time I visit, talking to the people, I find to be warm and accommodating. They, like us Canadians, are proud of their country striving for the same moral convictions, fighting for freedom and the democracy of who we all stand for. Just recently, one of my friends I met on Facebook, Adam Pass from Montgomery, New York, hit it “right on the mark” when he released his latest photograph, which you see posted. 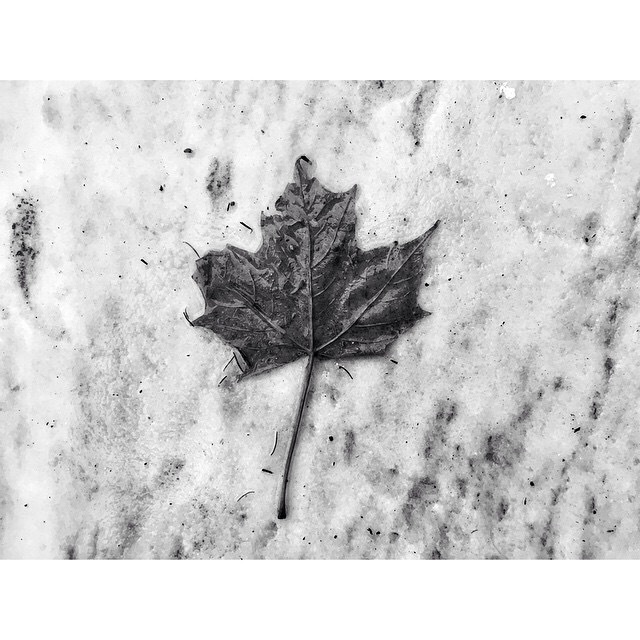 To me his photo of the “Black Maple Leaf” signifies Canada has been tarnished but stands together in strong unity, fondly hinting of the famous characters of Superman or Batman. As a freelance screenwriter, my wild imagination of fictional stories are pressed into my thoughts and I must write them down. This past week is also seared into my brain, knowing all to well the cost of our freedom. Our misfortunes doesn’t even come close to what our friends in America have been through. So, when something like this happens, they are well aware of the costs and are there ready to help. Canada knows the commonwealth of world leaders are also ready at a moments notice. You see, it’s not just about Canada. It’s the fabric of our freedom across many Nations! And let’s not forget, “least we forget”, all the men and women in the Armed Forces who have fought to keep our freedom. Canada is and always will be STRONG & FREE.